Disney Frozen 2 hits theatres in 2019! Join Anna, Kristoff and Olaf in an epic bouncing journey, encountering Everest-like conditions to find Anna's sister Elsa, whose icy powers have trapped the kingdom in eternal winter! 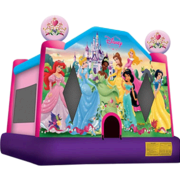 Your kids will love to join the Disney Princess's for hours of fun in this exciting Disney bounce house. 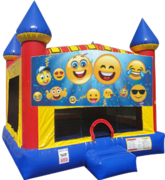 They will develop motor skills, coordination, and most importantly will be having the time of their lives in a safe jumping environment. It's time to add two more guests to your guest list. That's right, Spongebob and Patrick are always ready for some back yard fun! 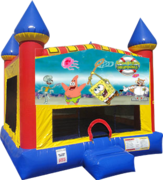 Whatever the occasion, your children will love bouncing on our popular Spongebob Bouncer! *Banner may be slightly different than pictured in photo. 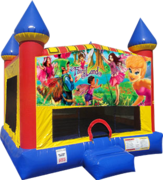 All the kids will have a bouncing good time in our Barbie Bouncer. It's like having your own Barbie Dream House right in your own back yard! 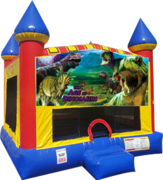 Our Dinosaur themed bouncer will have your party ROARING with laughter. Cars, Planes, and Trains, OH MY! 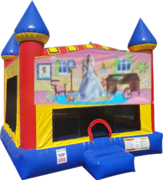 It's the best of all three with this spectacular themed bouncer! Happy Birthday! 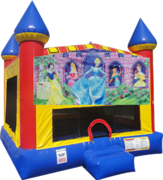 A big, wide, open floor for bouncing, with netting to keep the kids from falling out, and lots of windows for you to watch the fun! 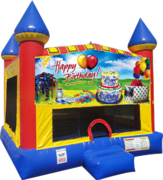 They'll pop in, and bounce like little rubber balls throughout the party. Monster Truck Rampage! Every child seems to love monster trucks. 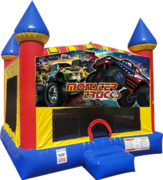 Celebrate that love with our Super Monster Truck Bouncer! It's a party! 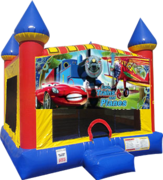 Exploring, Bouncing, it's all a fun time in our World Explorers Bounce House!